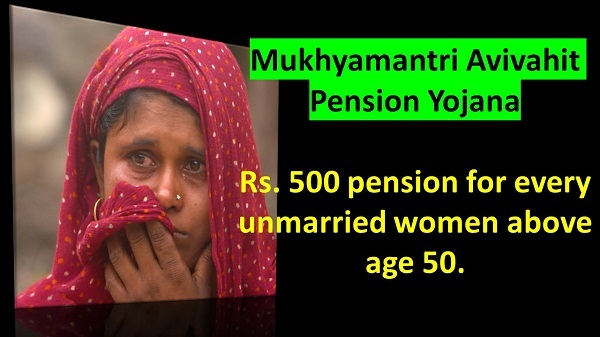 The Mukhyamantri Avivahit Pension Yojana has been approved by Madhya Pradesh government in order to provide financial help to unmarried women above 50 years. The primary objective of the scheme is to provide financial assistance on a monthly basis to the women who fall between the age group of 50 to 79. However, it is an excellent step to aid women to become financially dependent. This women pension scheme in this state is the first one to come up that would help to empower women. Financial assistance – The primary objective of the scheme is to provide rupees 300 on a monthly basis to the women who are between 50 to 79 years of age. It would be a monthly amount of rupees 500 for the ones above 80 years. Benefits – This innovative women pension scheme in this state would be the first one to come up that would help to empower women and make them financially strong. This would also benefit more than 75,000 single women above 50 years. Other decision – In addition to this, the cabinet committee has also thought about constructing separate toilets and rooms for the entire team of women staff around 676 police stations. For this construction, rupees Rs 49.10 crore would be sanctioned. There are a total of 4.84 crore votes in Madhya Pradesh comprising of 48% of female voters. Therefore, it is clearly noticed that the proposals are being sanctioned to get the support of the female voters in the upcoming election. In addition, it would also help to improve the condition of women effectively. Women applying for this scheme should be unmarried. A particular amount has been decided by the state government for women between 50 -79. Women belong above the age of 80 years would also be given a certain amount of money on a monthly basis. Women should have an Aadhaar card in order to avail the benefits of the scheme. Women applying for this scheme should also have proper address proof for availing the benefits. No such specific rules of application procedure has come out as of now since it is a newly launched scheme. But as soon as it comes out and it has been updated in the official website, you would be the first one to get the information. The state government has already instructed for the implementation of the scheme. Thus, it can be expected that the application process would be out soon. Therefore, the aim of the scheme is to provide pension to the elderly single women such that they can become financially stable. In addition, since a major percentage of women voters in the state, concentrating on improving their condition, would help to have better election results in the upcoming election. In the cabinet meeting held on the September 2018, all these vital decisions pertaining to the improvement of the condition of women have been discussed.